Keliy Anderson-Staley was raised off the grid in Maine, studied photography in New York City and currently lives and teaches photography at the University of Houston in Texas. She holds a BA from Hampshire College in Massachusetts and an MFA in photography from Hunter College in New York. Anderson-Staley's images are in the permanent collections of the Library of Congress, Cedar Rapids Museum of Art, Portland Museum of Art (Maine), and Museum of Fine Arts-Houston. She was the recipient of a New York Foundation for the Arts Fellowship, a Puffin Grant, a fellowship from the Howard Foundation, the Carol Crow Fellowship from the Houston Center for Photography and the Clarence John Laughlin Award from the New Orleans Photo Alliance. Her work was published in a solo issue of Light Work’s Contact Sheet and has been shown at the National Portrait Gallery of the Smithsonian, Portland Museum of Art, Akron Art Museum, Bronx Museum of Art, Southeast Museum of Photography and the California Museum of Photography, as well as at a number of galleries around the country. In 2016 she completed a major public commission for the city of Cleveland and the Greater Cleveland Regional Transit Authority, producing fifty large-scale portraits for installation in the airport tunnel of the rapid transit line. 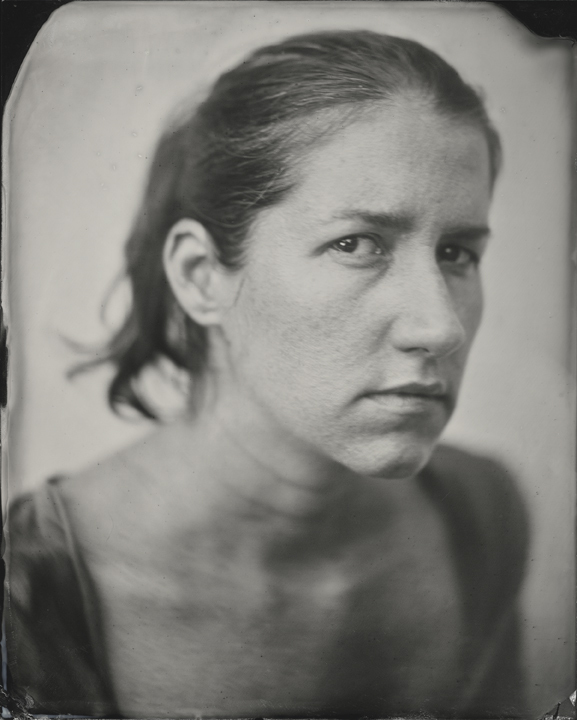 Anderson-Staley has been making wet plate collodion tintypes and ambrotypes for eleven years. Her fine art and editorial work has appeared in a number of magazines, including Photo District News, New York Magazine, Art and Auction, Hemispheres Magazine, Camerawork, Contact Sheet, Conde Nast Traveler, Photograph and Esquire Russia. Online, her work has been featured on Flak Photo, Conscientious, Fraction Magazine, PetaPixel, Ahorn Magazine and Daylight Magazine. A book of her portraits, On A Wet Bough is available from Waltz Books. She is represented by Catherine Edelman Gallery.